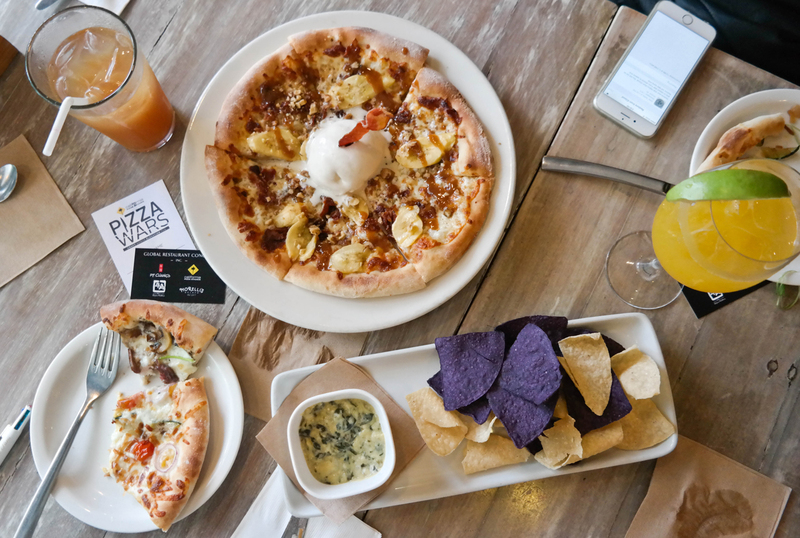 Pizza has been my favorite food ever since I was in grade school; and I have also been fond of watching cooking shows and cook-offs. 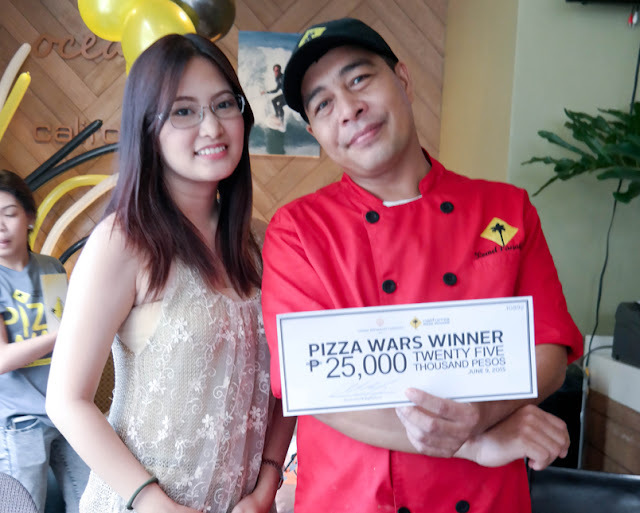 This week, I got invited to the grand finals of the first-ever Pizza Wars in the Philippines (and also the first Pizza Wars done outside the United States!) and I have never been more excited to attend such an event. I used to just watch these things on television, but this time, I had the chance to be part of the main event and experience it first hand. 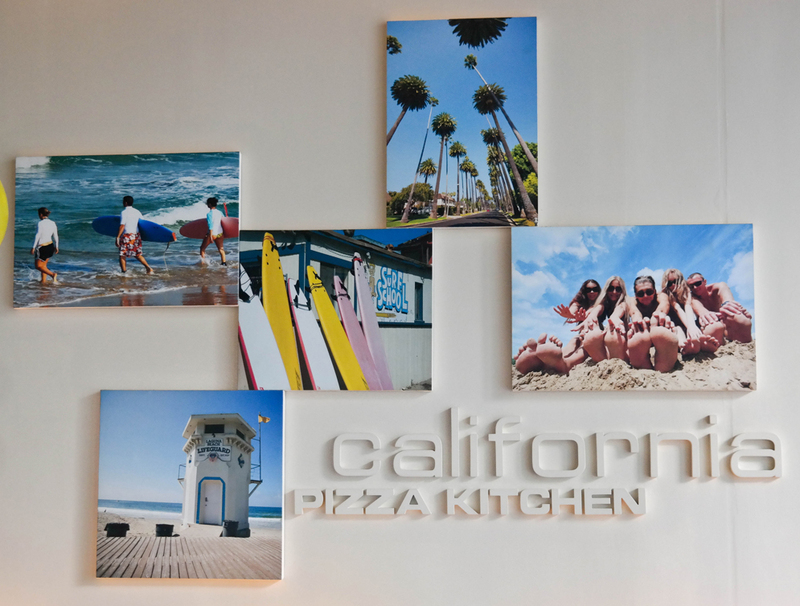 California Pizza Kitchen opened their first restaurant in Beverly Hills in 1985. 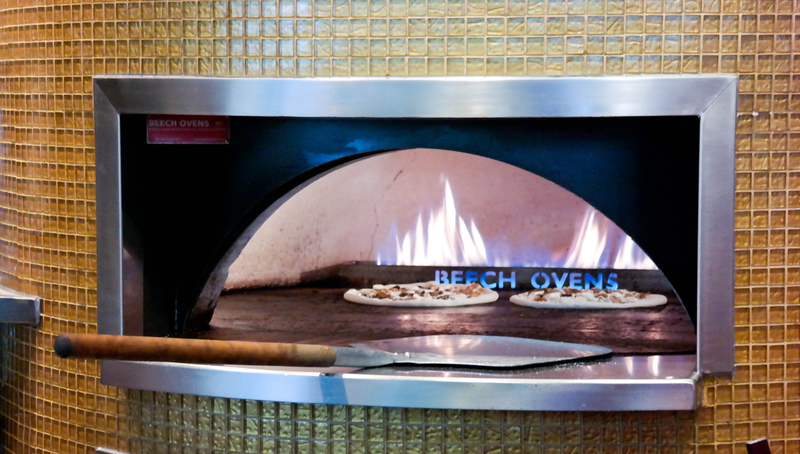 Former federal prosecutors Rick Rosenfield and Larry Flax combined their passion for food with fresh high-quality ingredients to create innovative, hearth-baked pizzas such as The Original BBQ Chicken, Thai Chicken and Jamaican Jerk Chicken, cooked in an open kitchen. The restaurant gave California a place in the pizza pantheon alongside Chicago and New York. 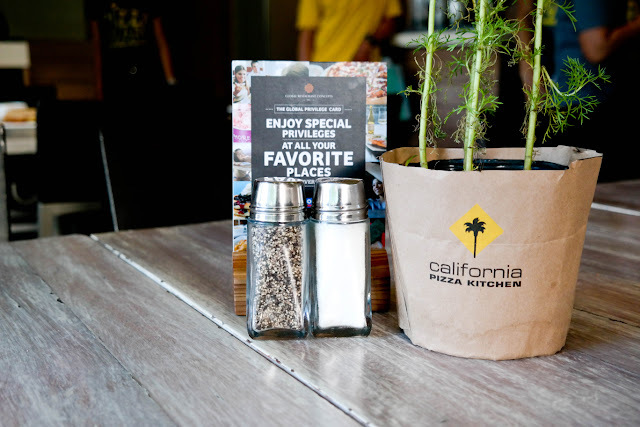 Their California twist on global flavors resonated with guests, and almost immediately, CPK became a bustling spot for business and family gatherings. 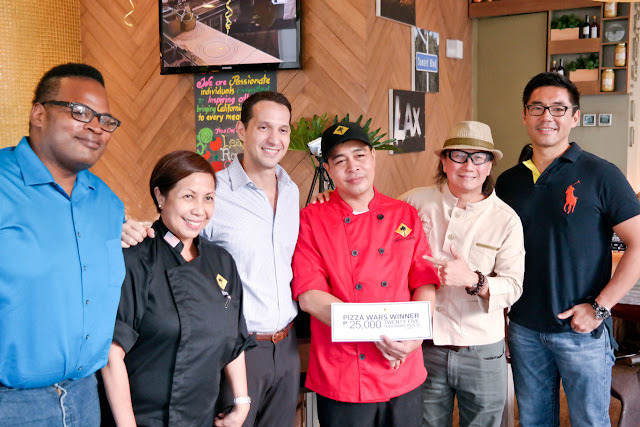 Global Restaurant Concepts Inc., a Filipino-owned company, brought the world famous brand in the Philippines. 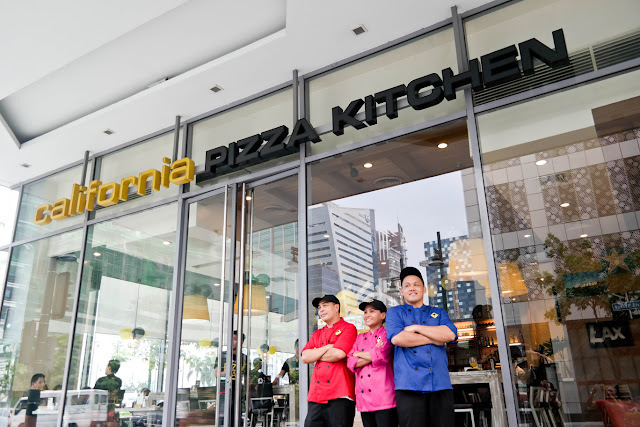 In 1998, the first CPK restaurant outside the United States opened its doors in Glorietta 3, Ayala Center, Makati City. 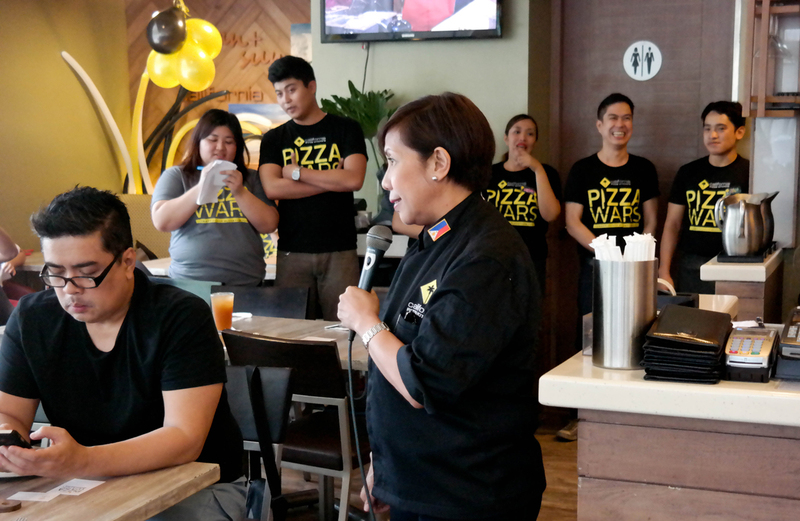 California Pizza Kitchen in the Philippines has begun another adventure—the Pizza Wars. 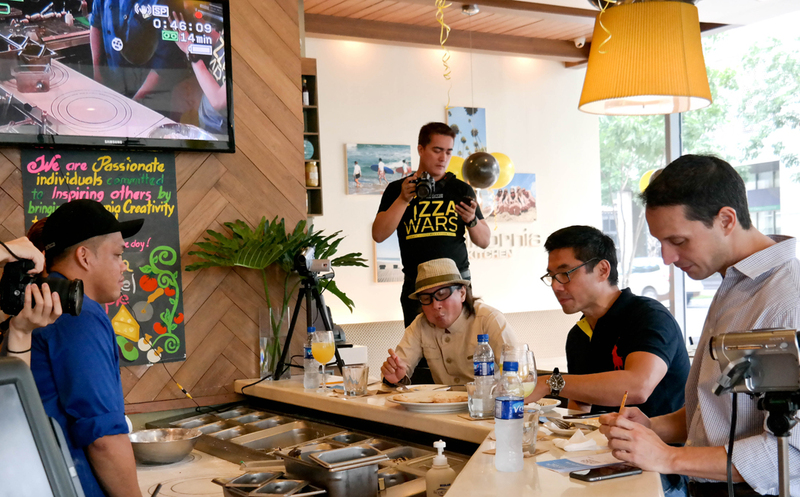 Being the first location outside the United States, managed by Global Restaurant Concepts Inc., it seems well-timed that they are also the first international franchise to carry out the pizza chef competition. 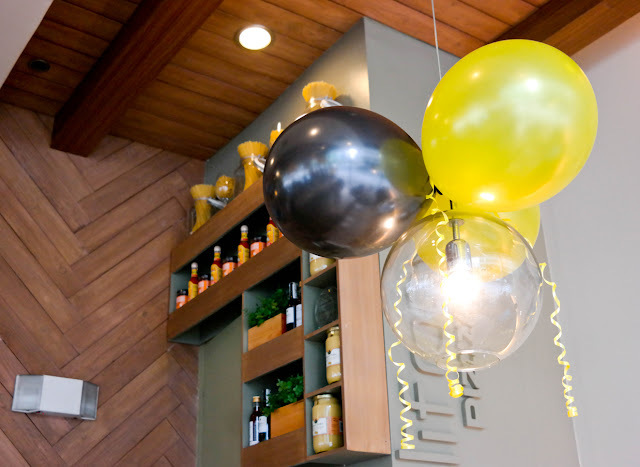 CPK has been recognized as a casual dining restaurant offering interesting food selections and classic dishes brought to a whole new level. 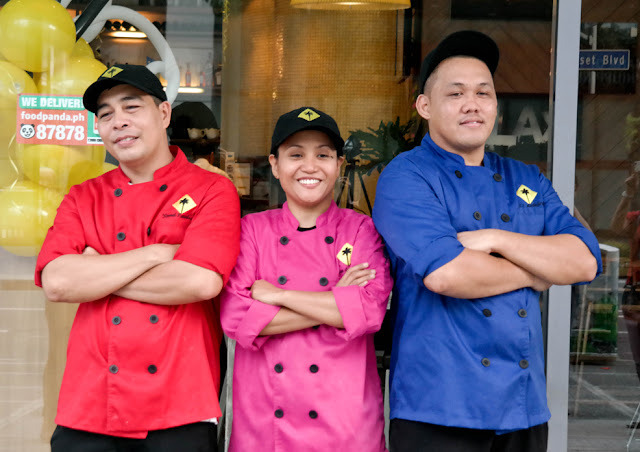 Well-known for their hearth-baked gourmet and artisan pizzas and seeing the set off of the first ever pizza challenge, really warrant them to be the pizza authority. 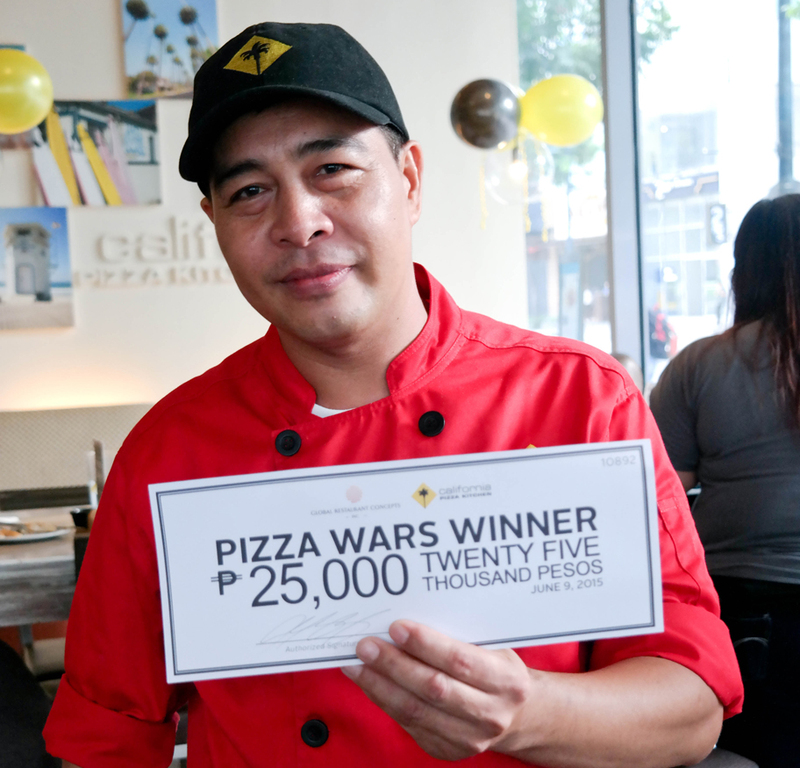 "The pizza chef competition inspired our cooks to be more passionate with their craft and be beyond imaginative at once. 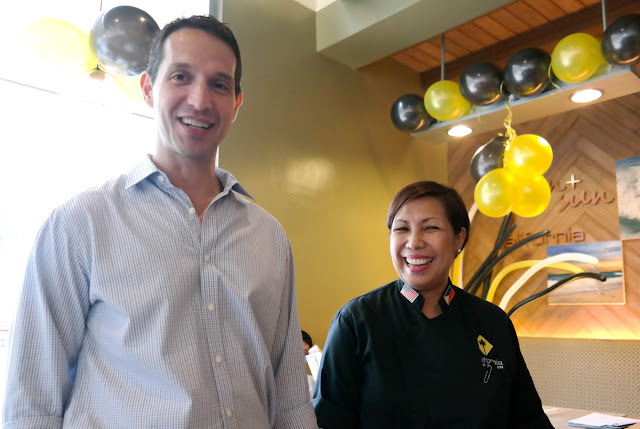 They were up for the challenge and the opportunity to be acknowledged alongside their innovation," said Archie Rodriguez, President & CEO of GRCI. 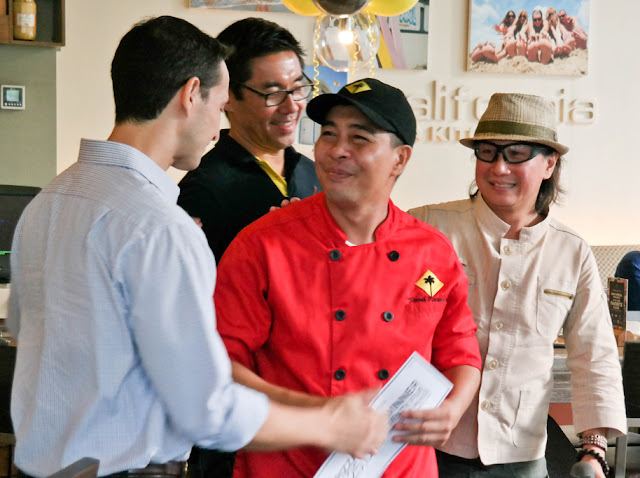 The competition started off with a store level elimination wherein the cooks presented their original creations to their team and some regular guests. 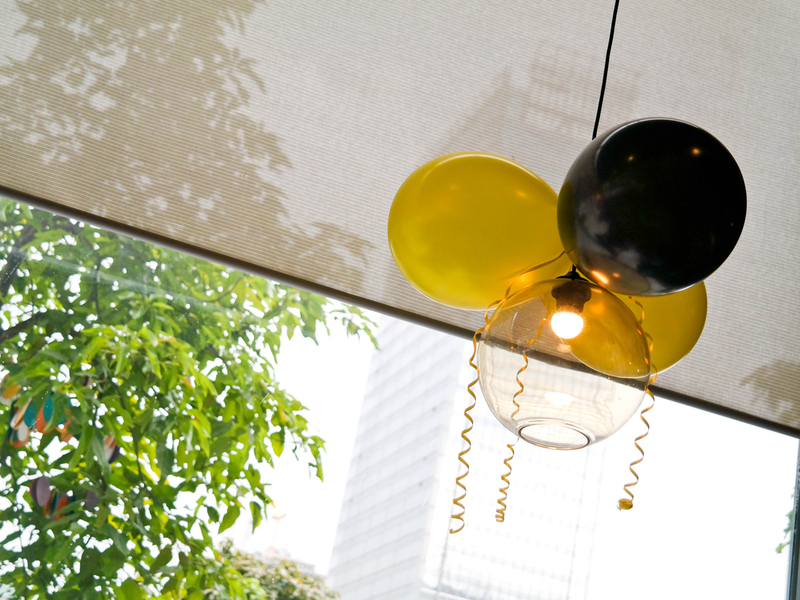 Each store selected one representative for the semi-finals. From the ten entries, top 3 chefs & original recipes were chosen to move to the finals. 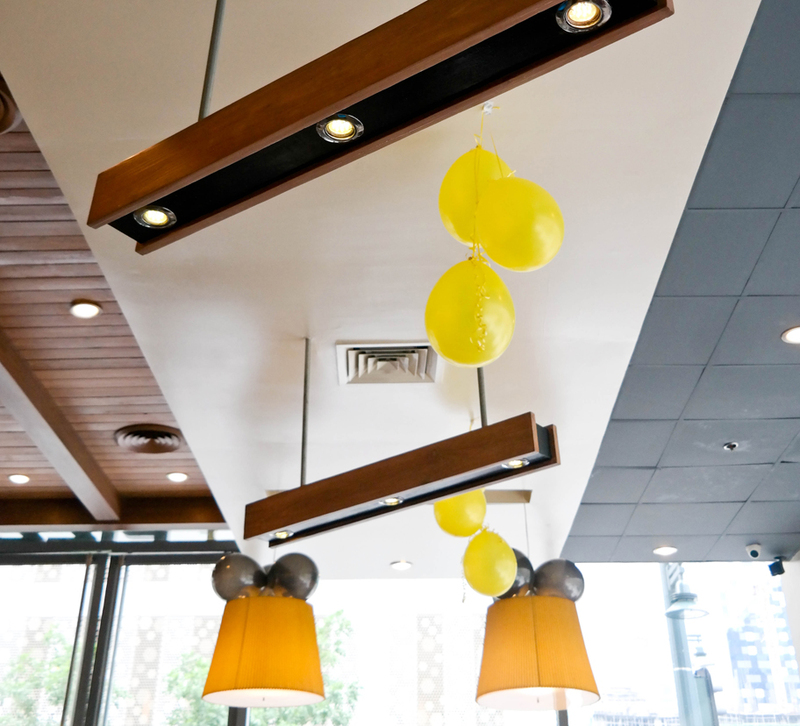 Held at The Bonifacio Global City branch of CPK Philippines, the place is all set for the main event. With VIPs, bloggers, and guests invited, the place is a full house. 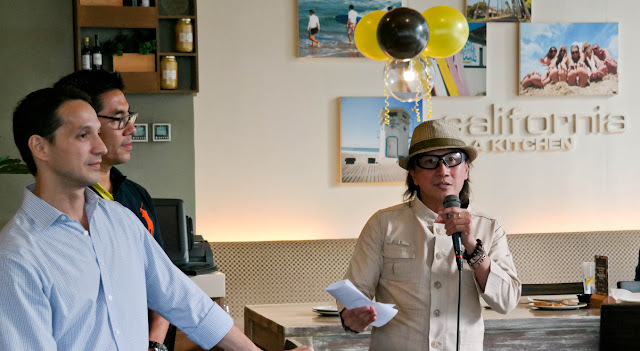 Ms. Luisa Del Rosario (Sr. Operations Director, Global Restaurant Concepts Inc.) welcomes the guests and gives us a brief information about the main event. 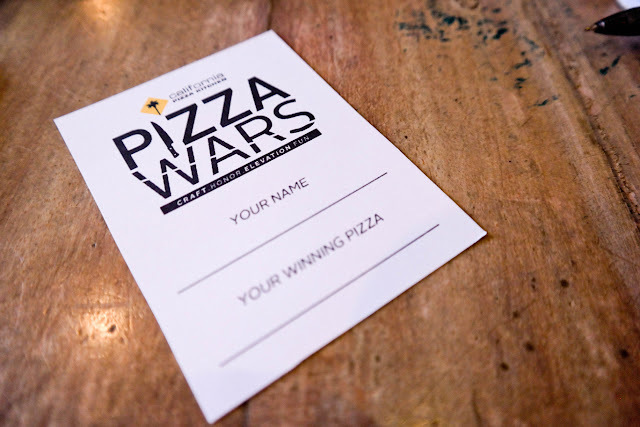 It was also mentioned that if we are able to vote for the winning pizza, we would take home that pizza as well. Introducing our finalists: Romel Panaligan from CPK Alabang; Lea Castillones from CPK Eastwood; and John Chloe Oplejeda from CPK TriNoma. Our finalists, creating their ultimate hand-tossed pizza. 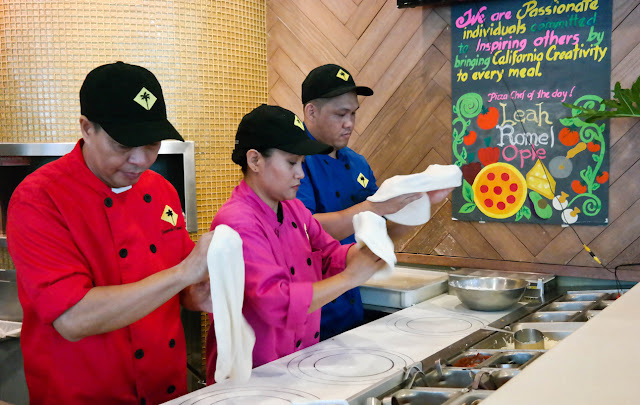 It's fun to watch them help each other out with their pizzas in spite of the competition. 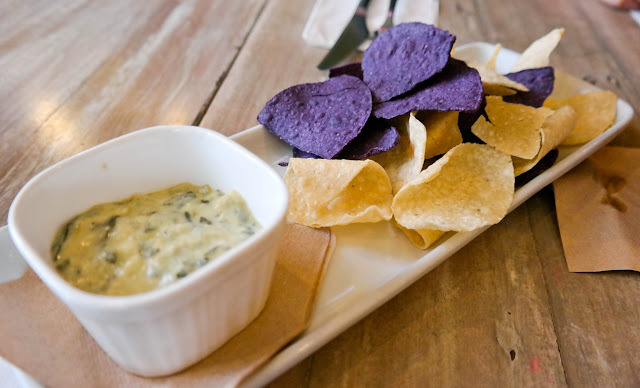 Spinach Artichoke Dip for our appetizer. Wonderful view on our table with the three pizzas for us to taste. Steak Mushroom + Truffle Pizza by Chef Leah Castillones. 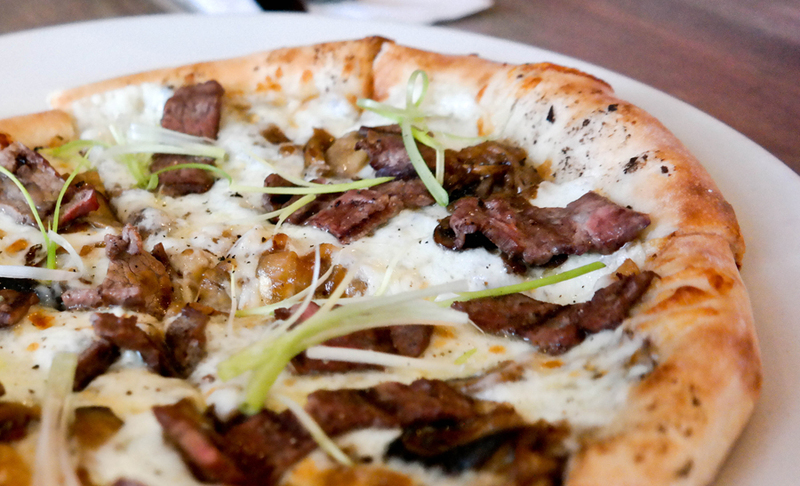 Truffle sauce, mozarella, fresh mozarella, wild mushrooms, topped with grilled steak and scallions. 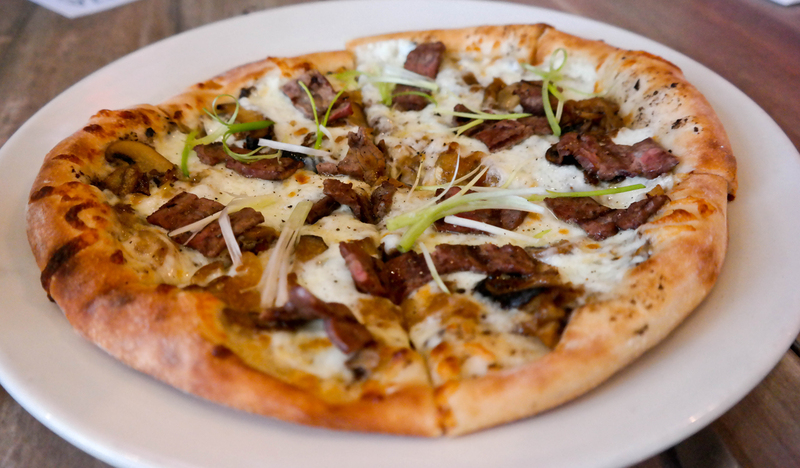 I find this pizza indulging and the combination of truffles, steak, and mushrooms are just perfect. 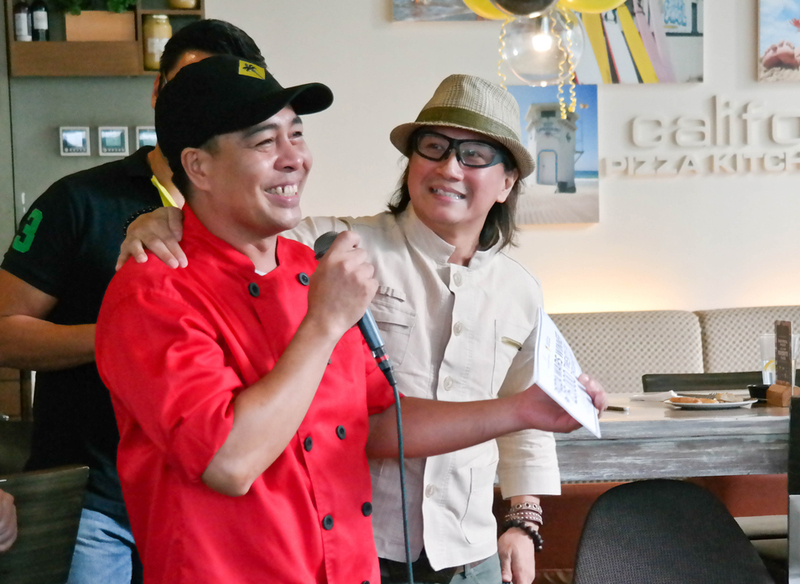 Farmer's Choice by Chef Romel Panaligan. 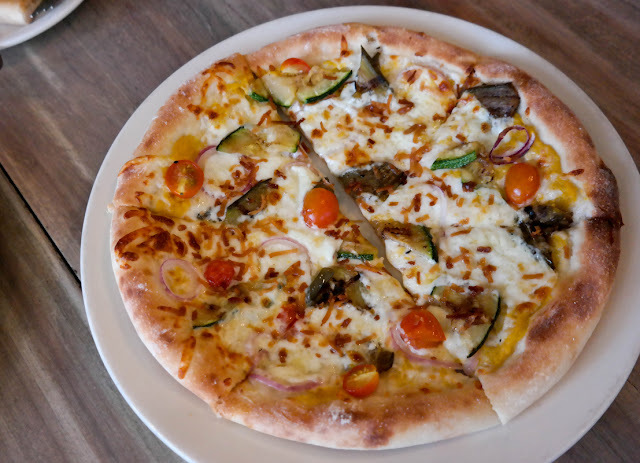 Roasted squash base with cinnamon, topped with mozarella, fresh mozarella, grilled eggplant and zucchini, red onions, cherry tomatoes and desiccated coconut. 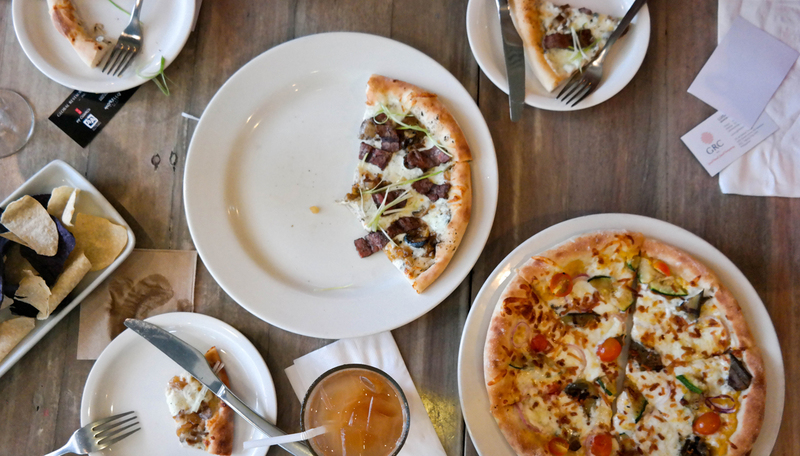 The taste of the cinnamon is not distinct, just enough to give the pizza a good aroma and to neutralize the taste of the squash. It's the first time I had a squash-based pizza with eggplant as one of its toppings. 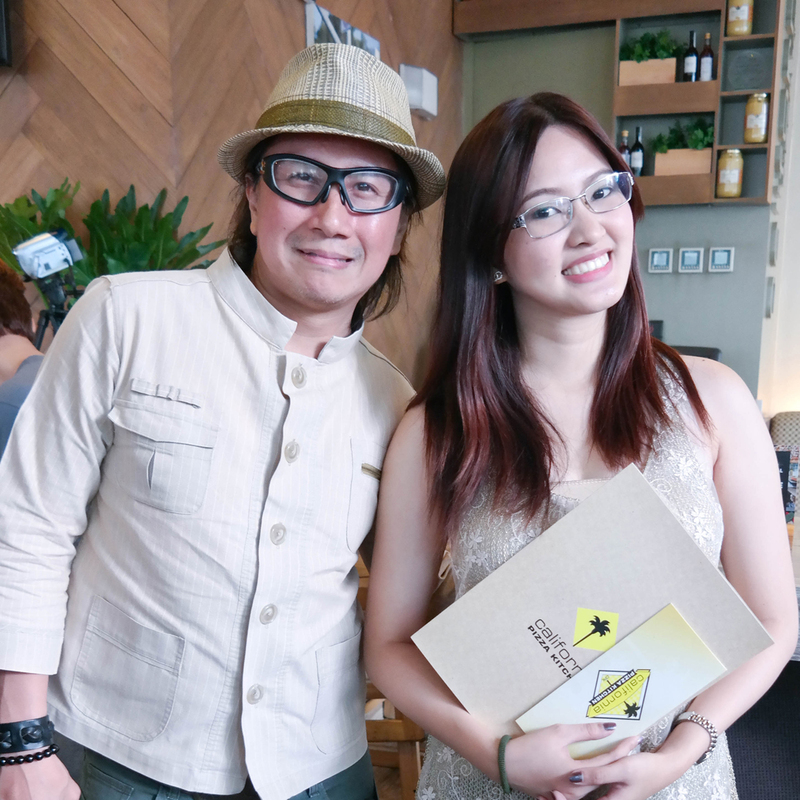 The ingredients complemented each other well and the taste is great, which also made me vote for this. 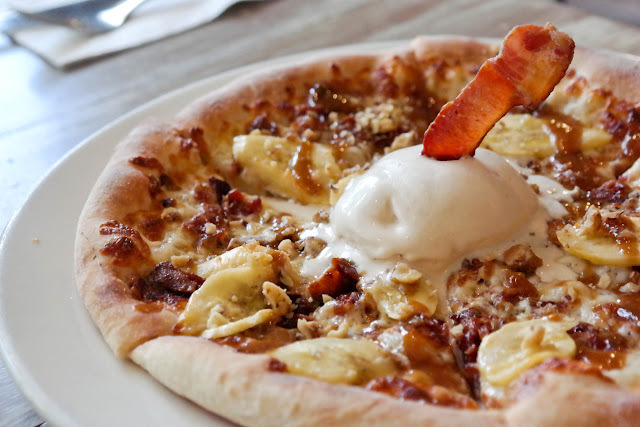 The Elvis Pizza by Chef John Chloe Oplejeda. Inspired by the King of Rock & Roll’s favorite sandwich, comes a dessert pizza. Peanut sauce base, mozzarella, crispy bacon, and banana topped with candied walnuts and peanut butter gelato. 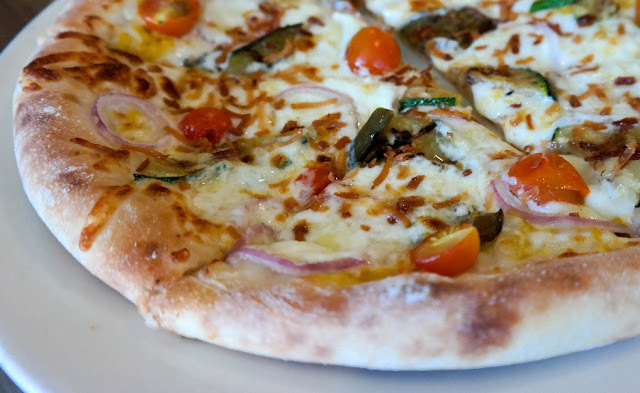 The combination of the ingredients are good as well as the taste, although I think I would prefer this better as a crepe and not as a hand-tossed pizza. I find the presentation very creative as well. Mr. Archie Rodriguez (GRCI President and CEO) and Ms. Luisa Del Rosario (GRCI Sr. Operations Director), having a good conversation with the guests and conducting a survey on our preferred pizza. Judging time. Chef Leah was the first one to go. She enumerates the ingredients and demonstrates how her Steak Mushroom + Truffle pizza is made. 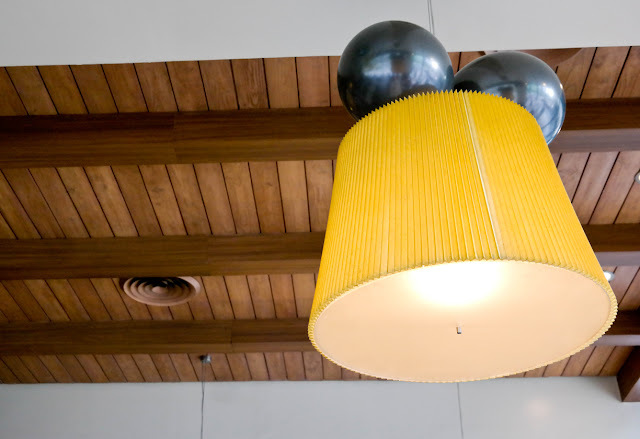 Her inspiration: Family and Children. She explains that most kids these days do not prefer vegetables and this inspired her to create this pizza (with the help of her CPK Eastwood team) which suits the taste of all ages and is also healthy. 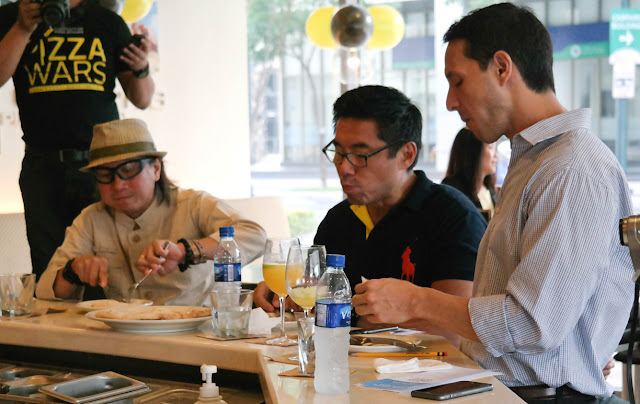 The judges (L-R): Celebrity Chef Mr. Rolando Laudico, Mr. Griffith Go (CFO of GRCI), Mr. Archie Rodriguez (GRCI President and CEO). 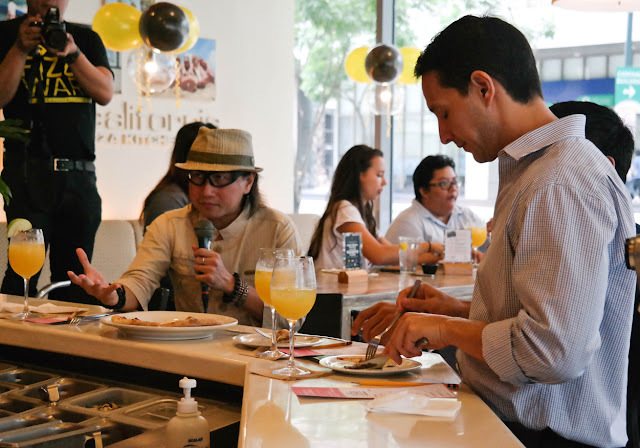 The chefs are judged according to their creativity, execution, taste, appearance and marketability of their creation. 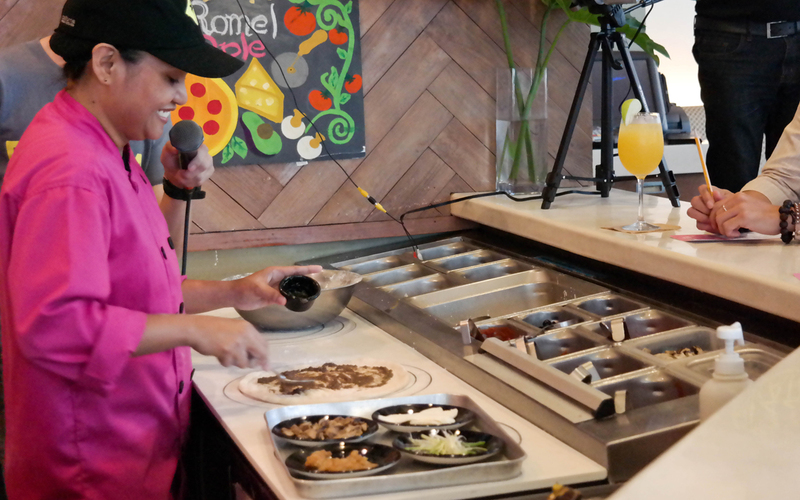 Their comments: Because of the truffles, the pizza is expensive to make, which would also be expensive on the menu. His inspiration: His province and their garden in their backyard. 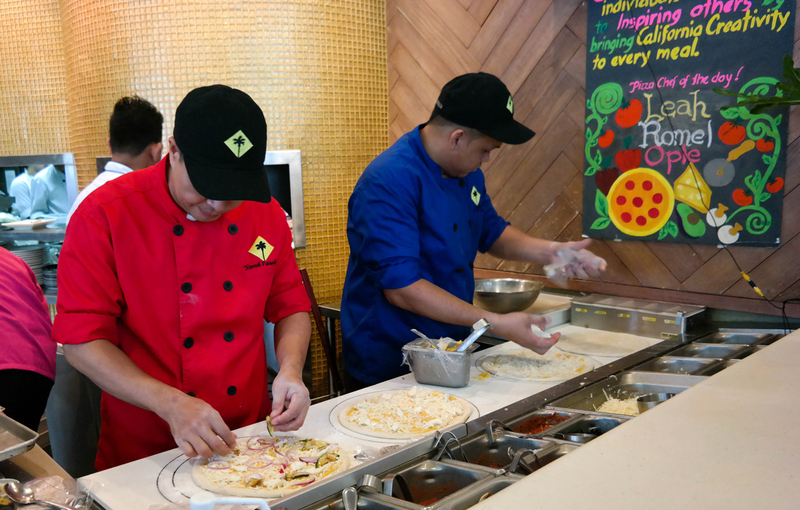 Coming from Iloilo (province), he creates his Farmer's Choice pizza to help our local farmers by using their harvests as the main ingredients. Apparently, our judges were speechless for a moment. 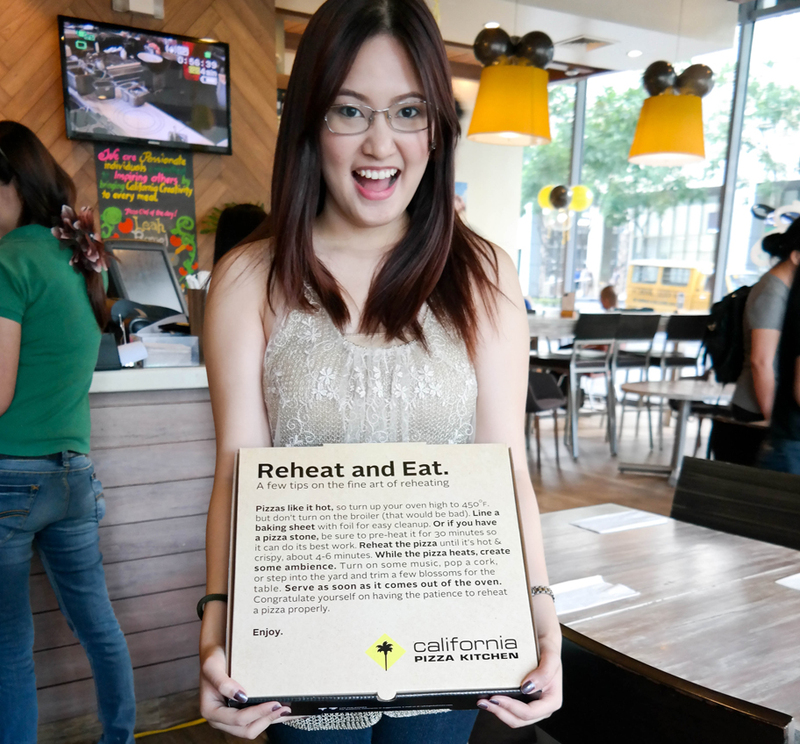 Their comments: The pizza is aromatic and it brings back memories. 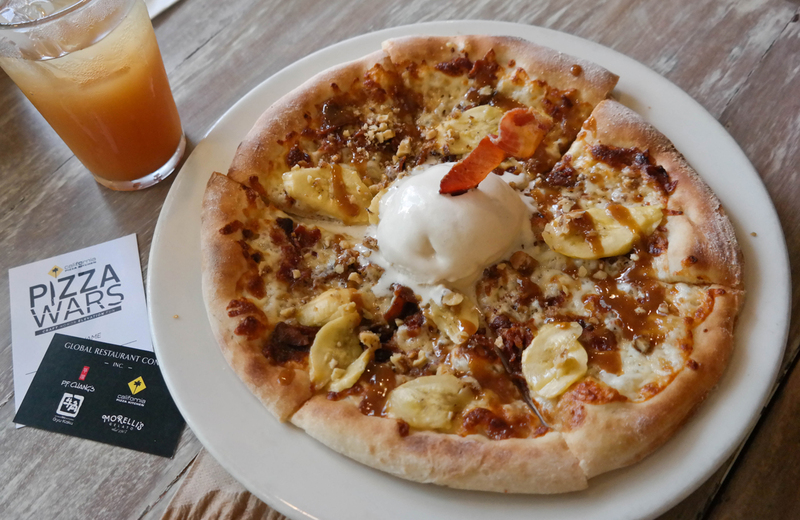 The pizza could make a lot of vegetarians happy; and according to Chef Laudico, "not in my wildest dreams that I thought of using pumpkin puree as a pizza base." Such creativity. 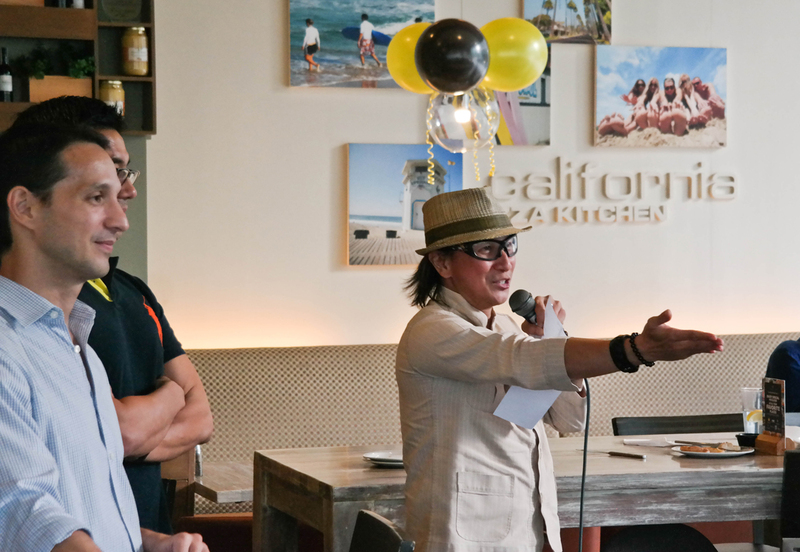 Last but definitely not the least, Chef Ople. His inspiration: None other than the King of Rock and Roll, Mr. Elvis Presley's favorite sandwich, the peanut butter sandwich with banana and bacon. 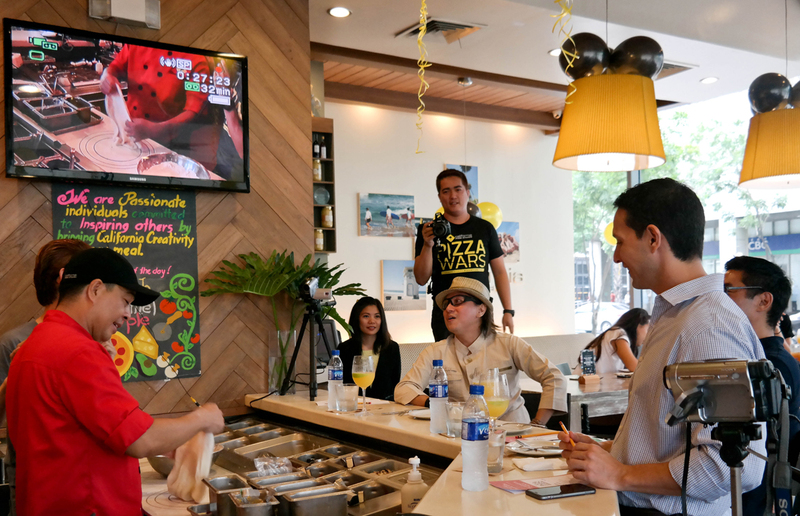 Judges' comments: It's very creative and there is a temperature contrast with the pizza which makes it unique. 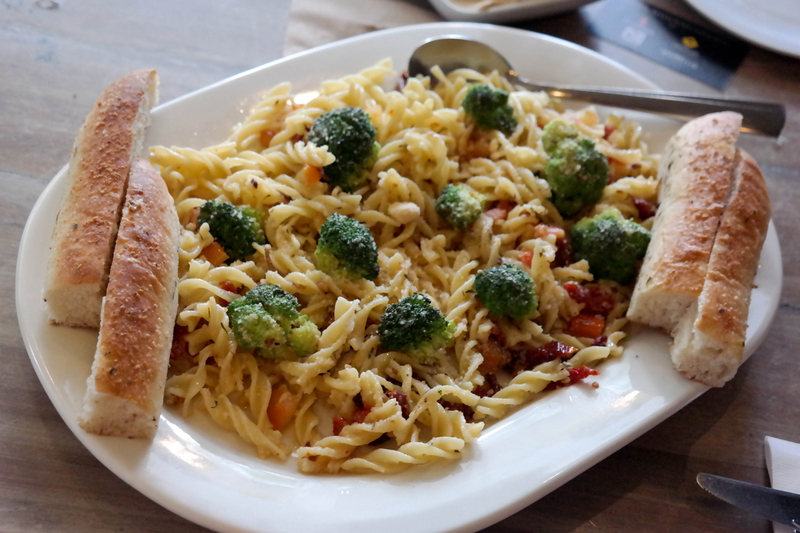 There is saltiness and sweetness but they recommend the pizza to have less bacon since the cheese is also salty. Finally, the moment that we have been waiting for. 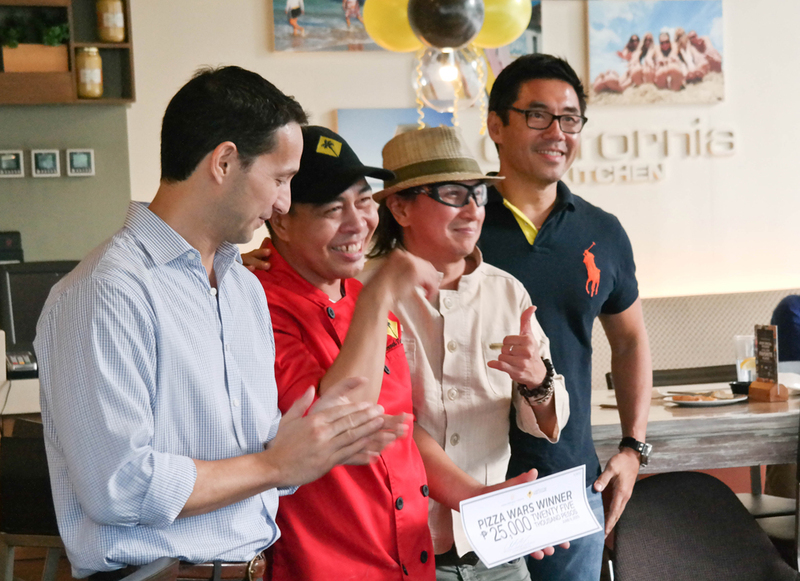 Chef Romel Panaligan of CPK Alabang! Candid moment, looking very happy as he receives the award. Chef Romel gives his speech with Chef Laudico beside him, also looking very happy for Chef Romel's victory. Fun Fact: Chef Romel has been with his CPK family for 15 years already. He started out as a dishwasher and a utility man. 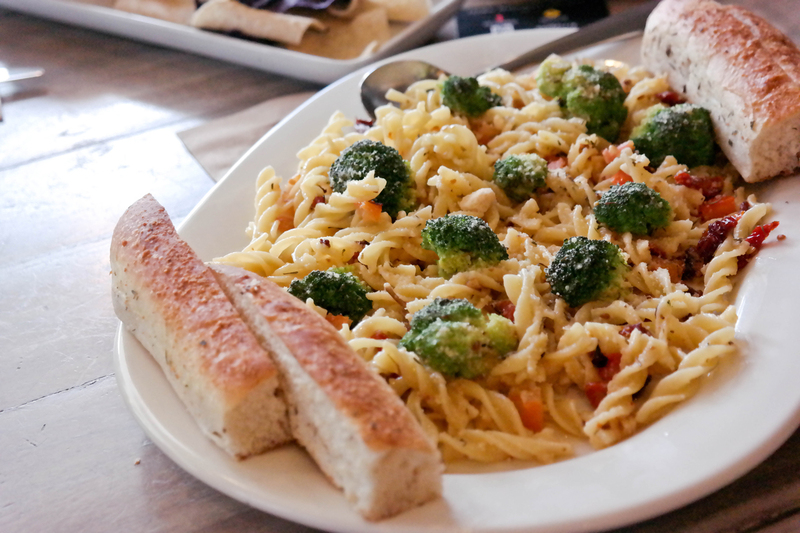 Something that Chef Laudico could relate to, since he also started his career as a dishwasher. Chef Romel Panaligan with the Judges. 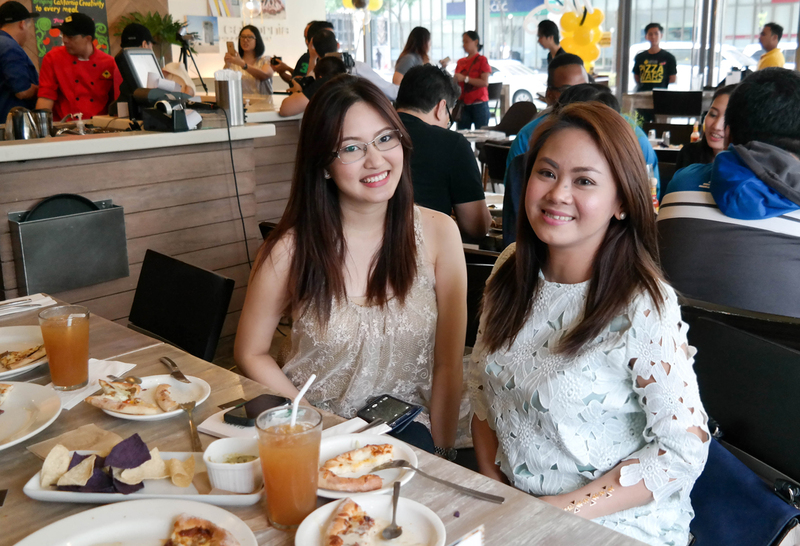 Of course, I wouldn't miss having a picture with the grand winner. Such a humble person. 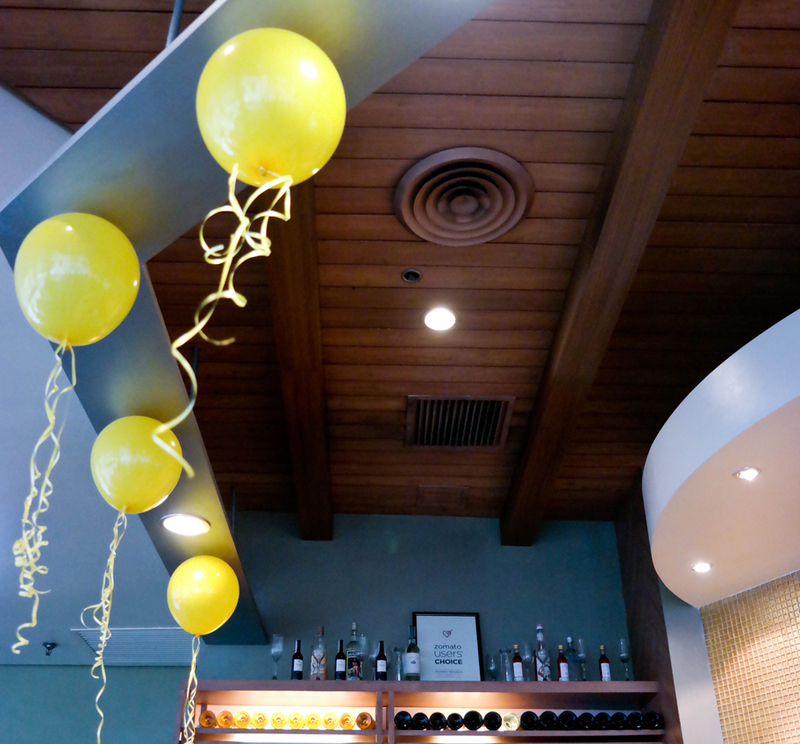 Interested to dine at CPK Philippines? 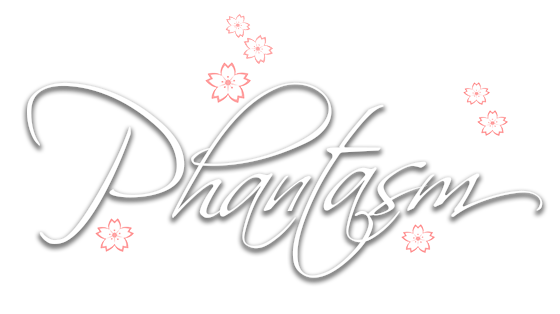 Here is their website for more information.